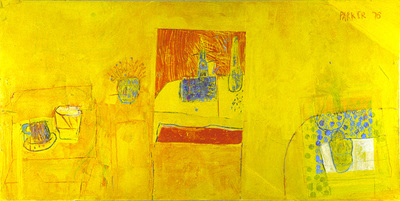 "The Yellow Room" - Latex Enamel and Collage on Canvas, 48" x 98.5" (1976). 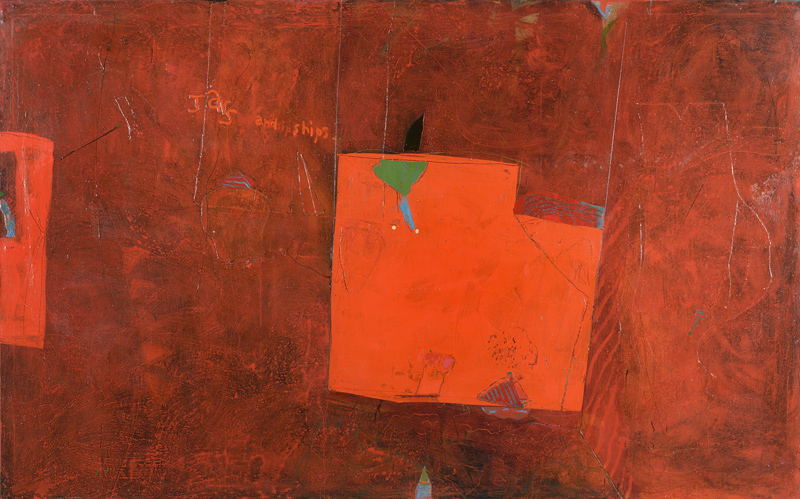 Acquired for the Permanent Collection of the Canton Museum of Art (Canton, Ohio). "Milk" - Latex Enamel on Canvas, 84" x 84" (1977). Acquired for the Permanent Collection of the Akron Museum of Art (Akron, Ohio). 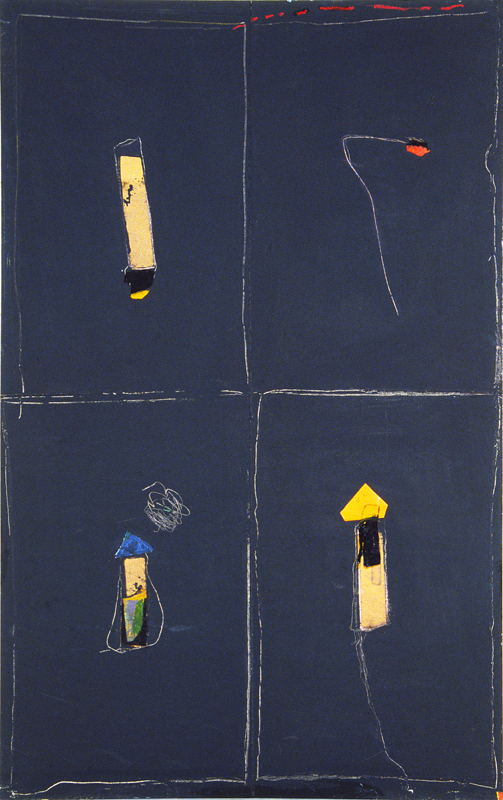 "Ships and Jars" - Latex Enamel on Canvas, 72" x 84" (1975). 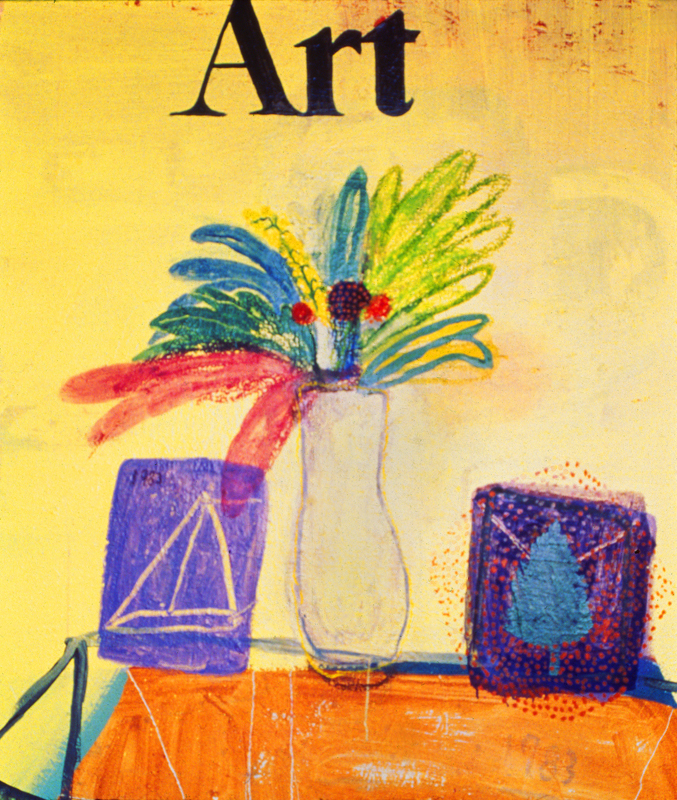 One of several pieces in the Collection of the Artists Archives of the Western Reserve (Cleveland, Ohio). 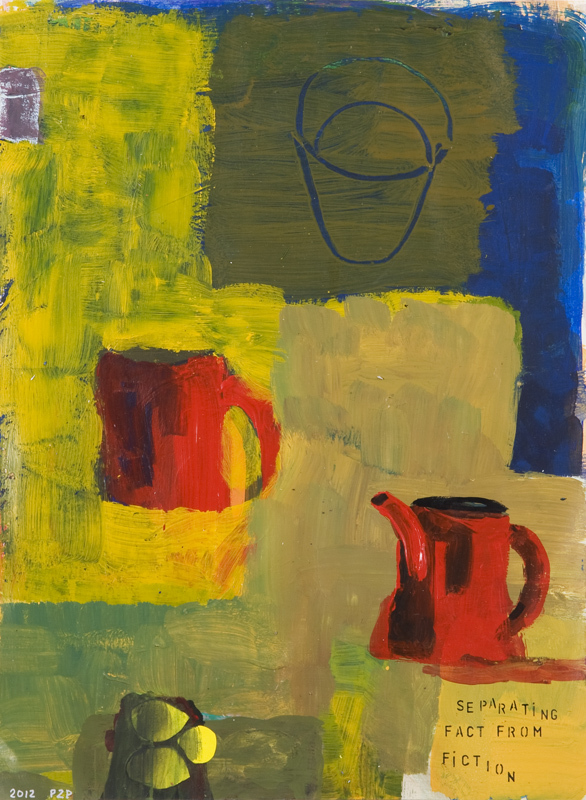 "Lemons" - Latex Enamel and Acrylic on Paper, 30" x 22" (2011). 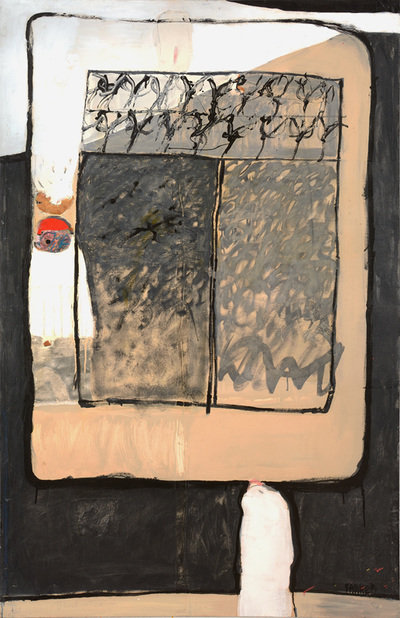 Acquired for the Permanent Collection of the Cleveland Foundation (Cleveland, Ohio). "The Yellow Table" (1976). Acquired for the Permanent Collection of the Cleveland Museum of Art (Cleveland, Ohio). 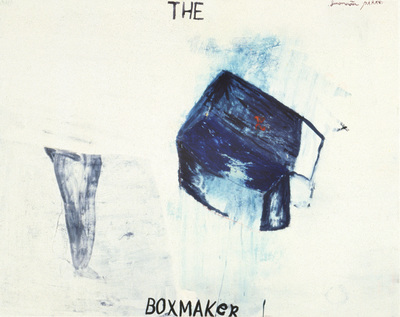 "The Boxmaker" - Latex Enamel on Canvas, 66" x 84" (1982). Acquired for the Permanent Collection of the Butler Institute of American Art (Youngstown, Ohio). "Art" - Latex Enamel on Canvas, 84" x 77" (1983). Acquired for the Permanent Collection of the Jones Day Law Firm (Cleveland, Ohio). 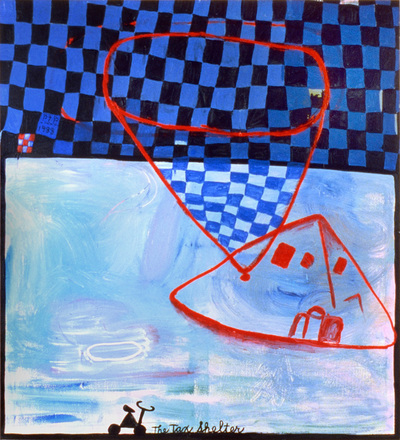 "Euclid Beach" - Latex Enamel on Canvas, 55" x 168" (1990). 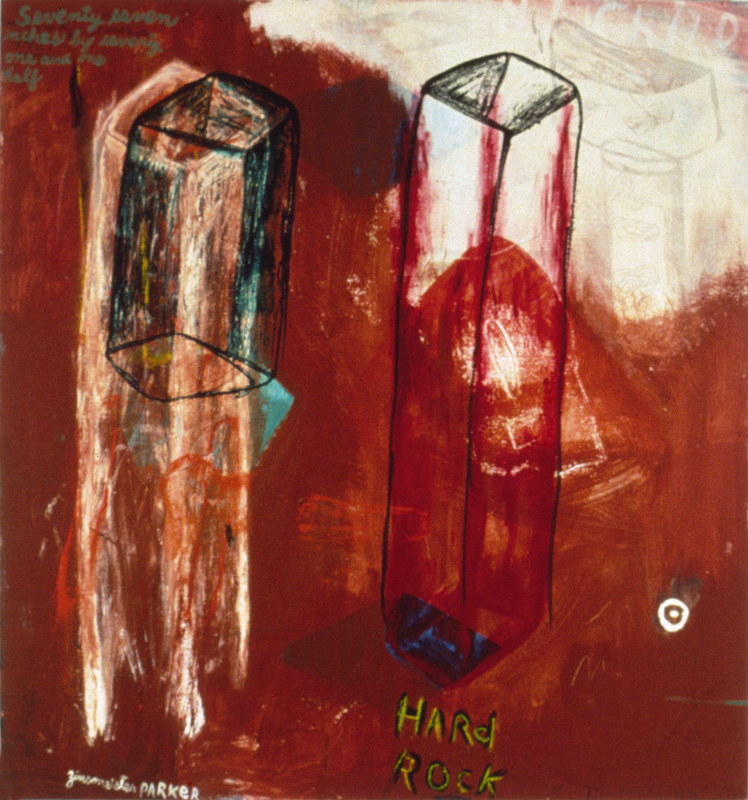 Acquired for the Permanent Collection of Kaiser Permanente, Inc.
"Hard Rock" - Latex Enamel on Canvas, 77" x 71" (1987). Acquired for the Permanent Collection of The City Club of Cleveland, Ohio. "Room For More" - Latex Enamel on Canvas, 44" x 37.5" (1986). 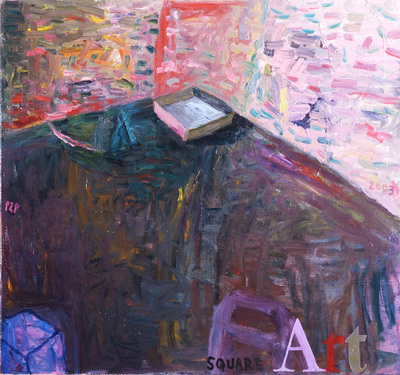 Acquired for the Permanent Collection of the Squires Sanders Dempsey Law Firm (Cleveland, Ohio). "Cold Pop" - Latex Enamel on Canvas, 72" x 72" (1976). 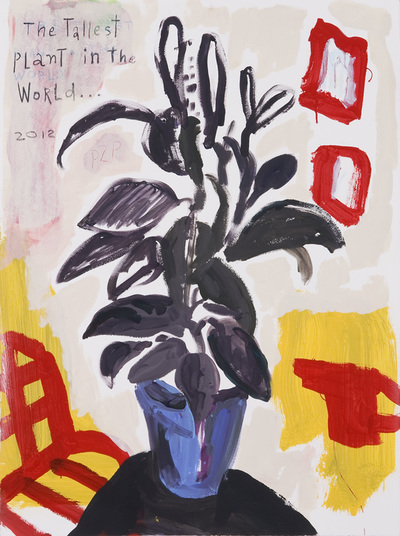 Acquired for the Permanent Collection of BP America. "Eye Need Your Vote" - Mixed Media On Canvas, 77" x 77" (1984). Residing in the Collection of the Artists Archives of the Western Reserve, Cleveland, Ohio. 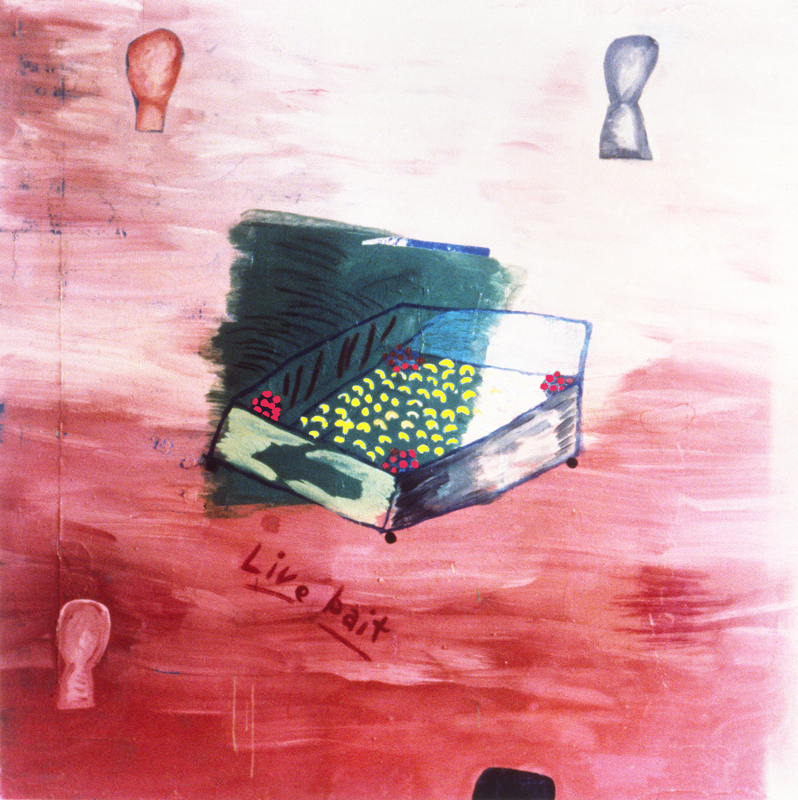 "Live Bait" - Latex Enamel on Canvas, 94" x 94" (1980). Residing in the Collection of the Artists Archives of the Western Reserve, Cleveland, Ohio. 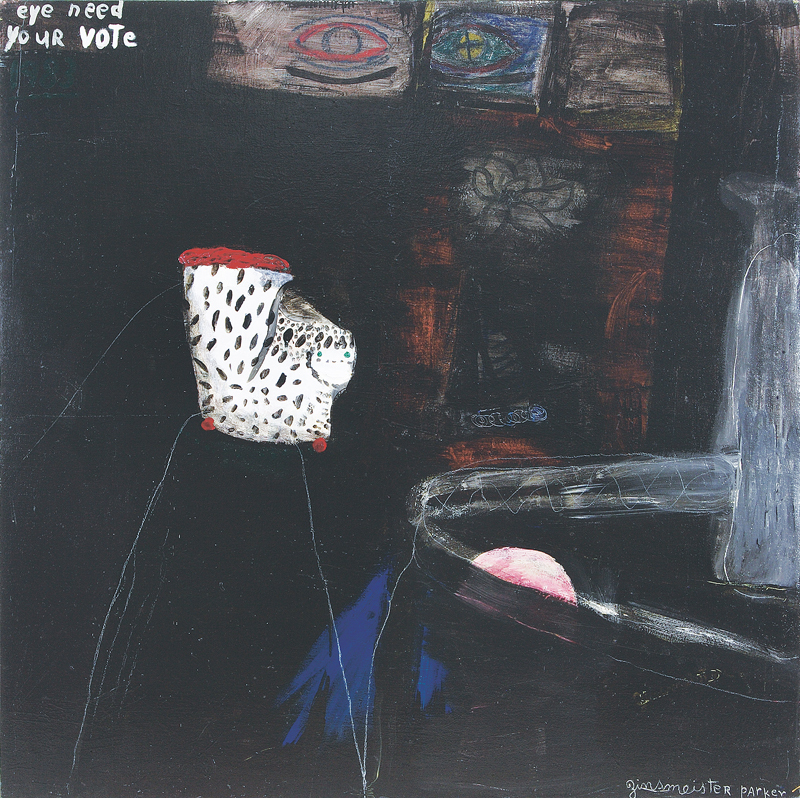 "Film Noir" - Gloss Enamel on Canvas, 65" x 65" (2005). Residing in the Collection of the Artists Archives of the Western Reserve, Cleveland, Ohio. 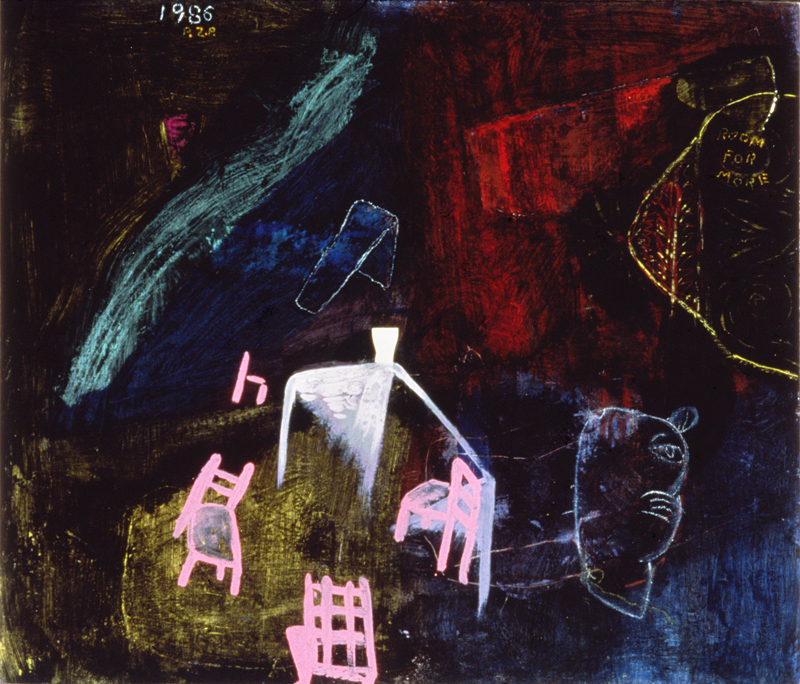 "Black and Tan" (Thesis Painting) - (1974). Residing in the Collection of the Artists Archives of the Western Reserve, Cleveland, Ohio. "Thesis Painting #2" - Mixed Media on Canvas (1975). Residing in the Collection of the Artists Archives of the Western Reserve, Cleveland, Ohio. 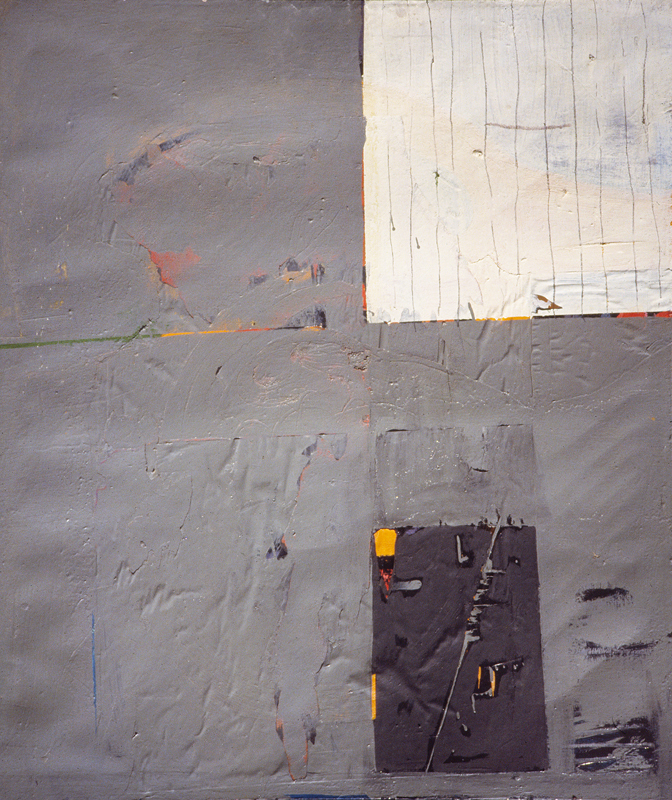 "Number 7" (Thesis Painting) - Mixed Media on Canvas (1975). Residing in the Collection of the Artists Archives of the Western Reserve, Cleveland, Ohio. "The Tax Shelter" - Latex Enamel on Canvas, 74" x 68" (1988). Residing in the Collection of the Artists Archives of the Western Reserve, Cleveland, Ohio. 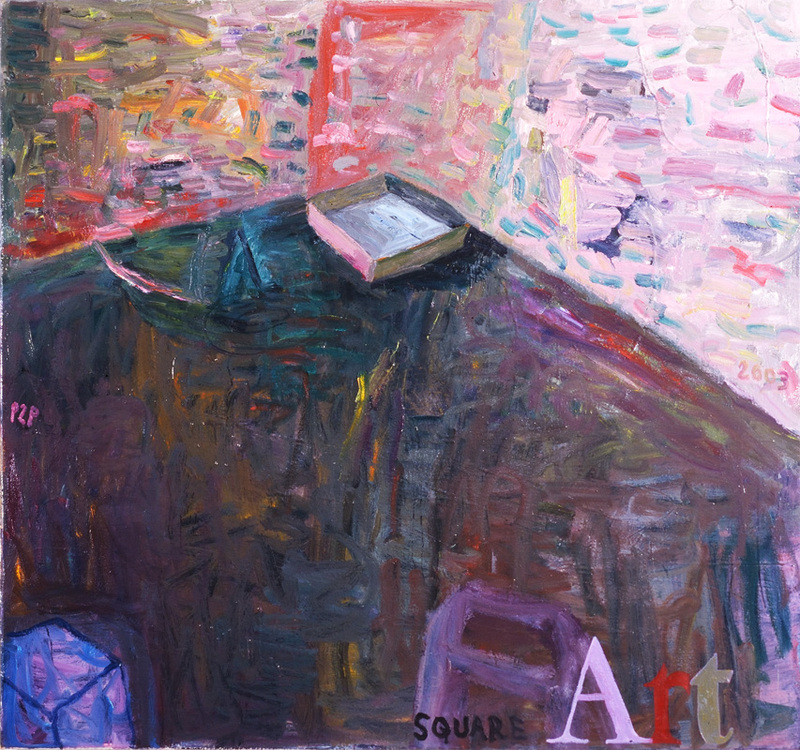 "Square Art" - Oil on Canvas, 64" x 69" (2003). 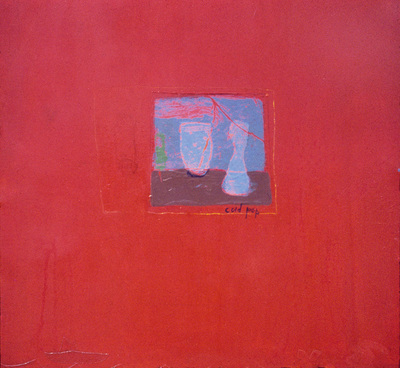 Acquired for the Collection of the Canton Museum of Art, Canton, Ohio. 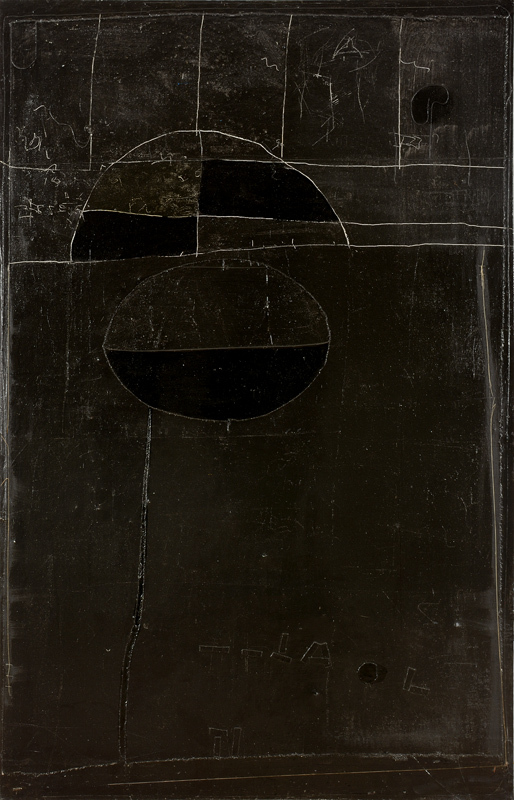 "Grey Scale" (Thesis Painting) - Mixed Media on Canvas (1975). Residing in the Collection of the Artists Archives of the Western Reserve, Cleveland, Ohio. "Separating Fact from Fiction" - Acrylic and Collage on Paper, 30" x 22" (2012). 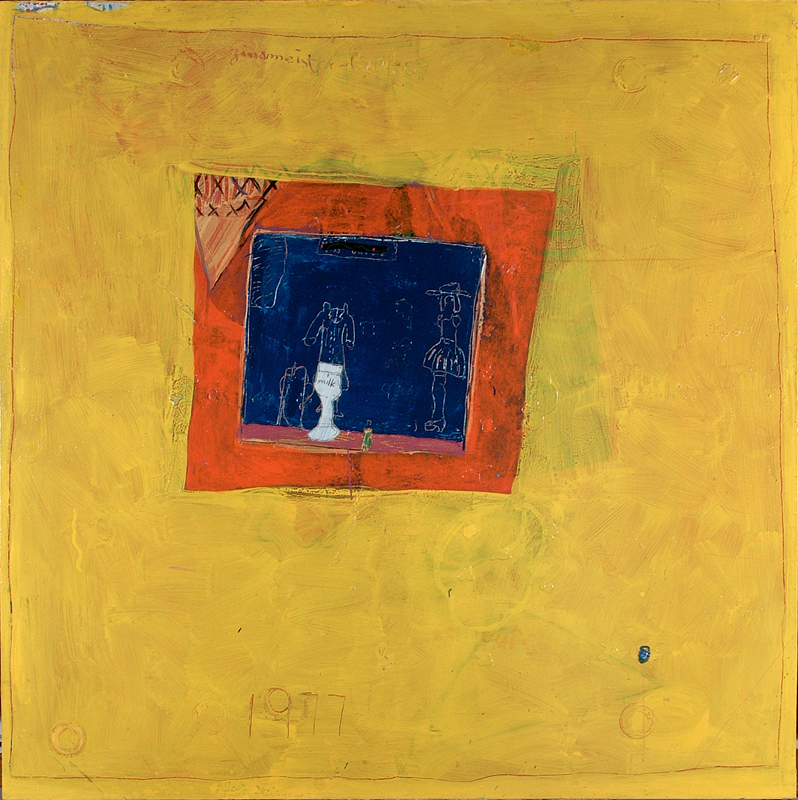 Acquired for the Cleveland Clinic Foundation Corporate Collection, Cleveland, Ohio. 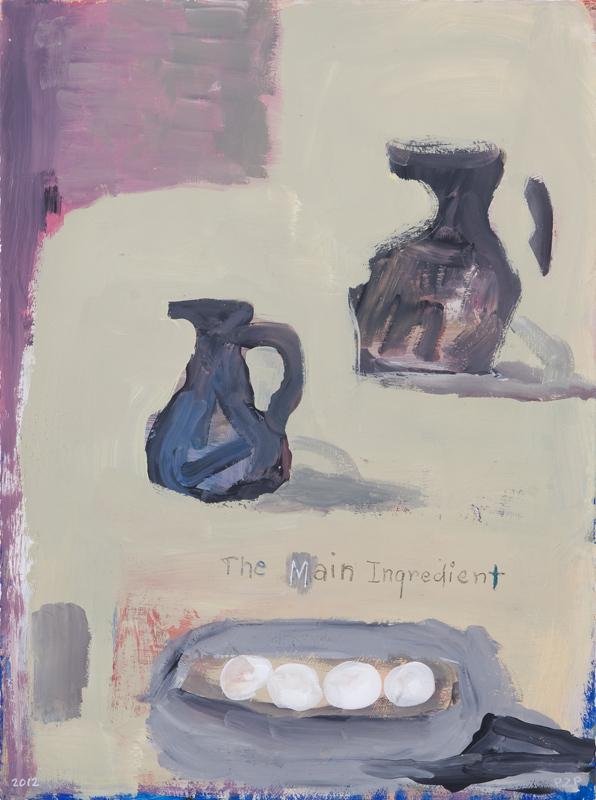 "The Main Ingredient" : Acrylic and Pencil on Paper, 30" x 22" (2012). 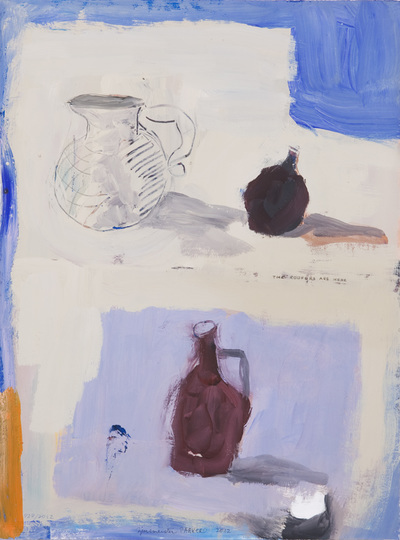 Acquired for the Cleveland Clinic Foundation Corporate Collection, Cleveland, Ohio. "The Roofers Are Here" : Acrylic and Pencil on Paper, 30" x 22" (2012). 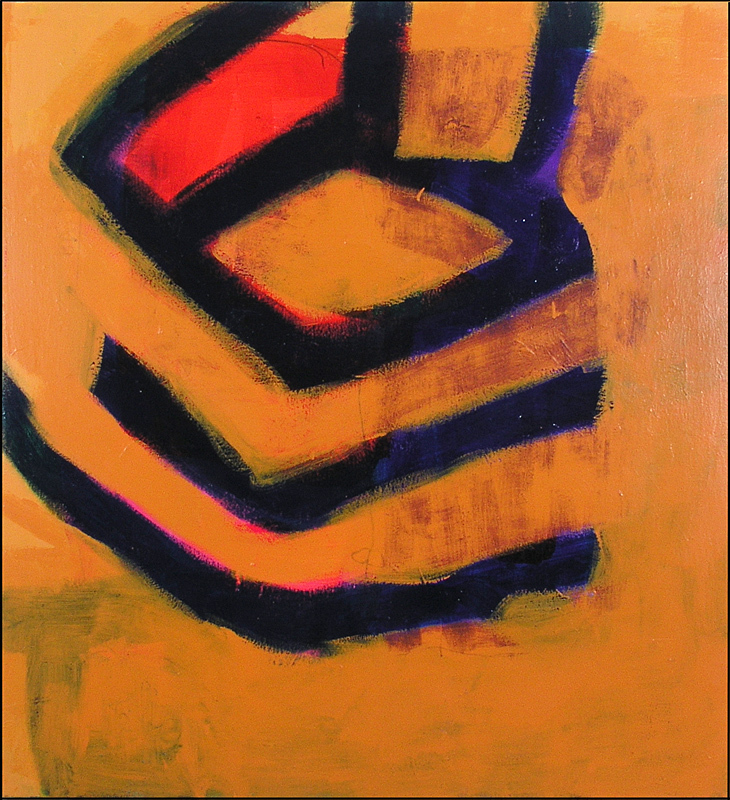 Acquired for the Cleveland Clinic Foundation Corporate Collection, Cleveland, Ohio. "The Tallest Plant in the World" - Acrylic on Paper, 30" x 22" (2012). 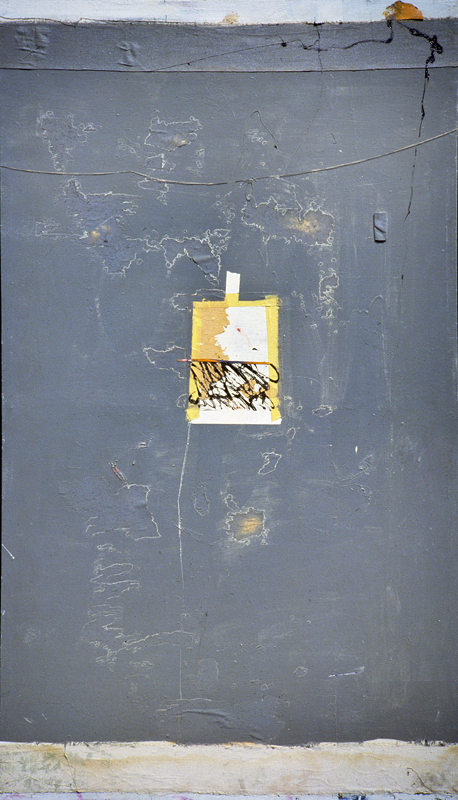 Acquired for the Cleveland Clinic Foundation Corporate Collection, Cleveland, Ohio. 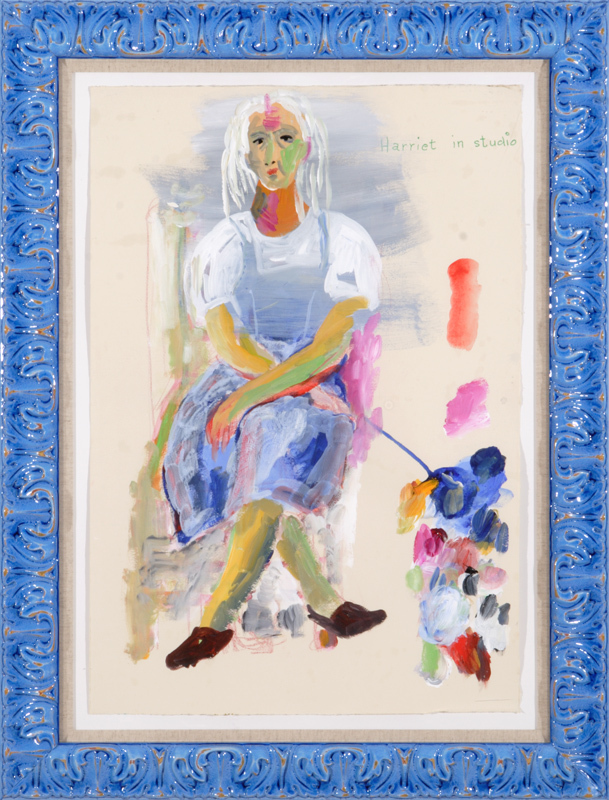 "Harriet In Studio" - Acrylic on Paper, 30" x 22" (2006). 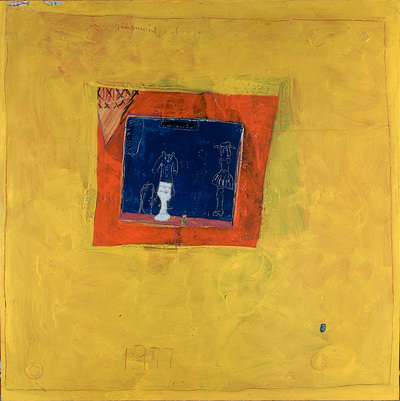 Acquired for the Cleveland Clinic Foundation Corporate Collection, Cleveland, Ohio. 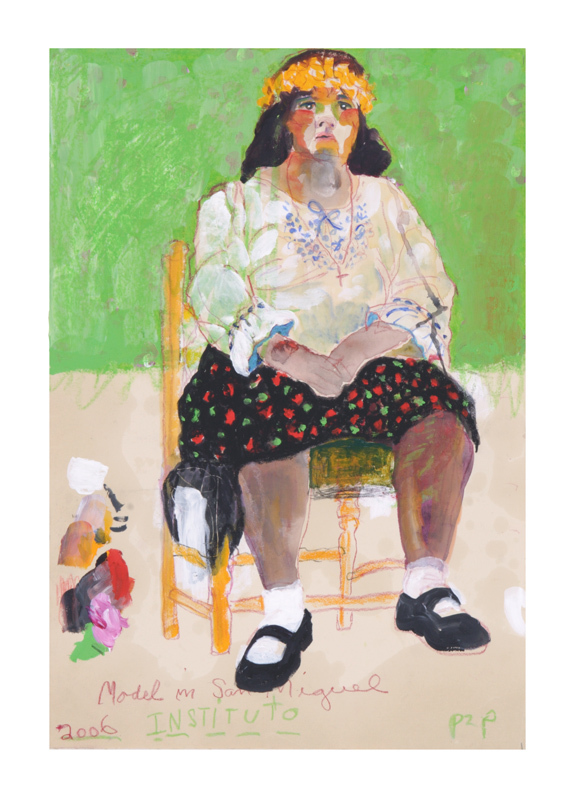 "Model in SMA Instituto" - Oil Pastel and Acrylic on Paper, 30" x 22" (2006). 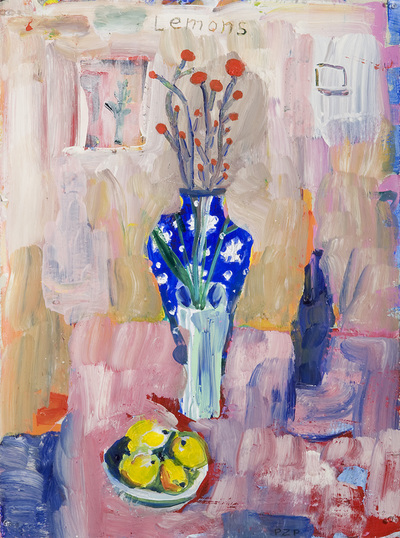 Acquired for the Cleveland Clinic Foundation Corporate Collection, Cleveland, Ohio. "Bluebones" - Chroma Acrylic on Canvas, 69" x 64" (2004). Acquired for the Cleveland Clinic Foundation Corporate Collection, Cleveland, Ohio. 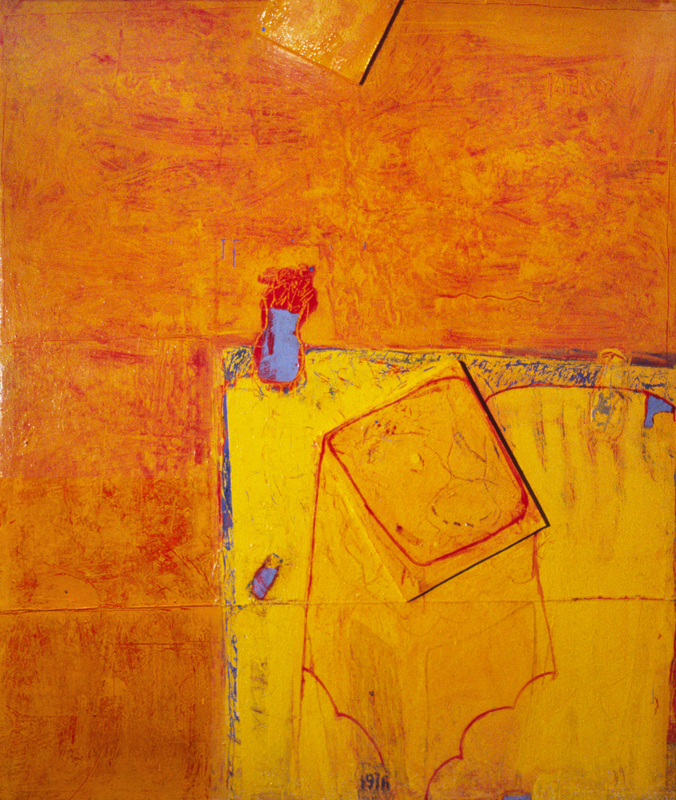 "Predominately Yellow" - Acrylic on Shaped Canvas, 7' 1" x 40' 3" (2006). Acquired for the Cleveland Clinic Foundation Corporate Collection, Cleveland, Ohio.